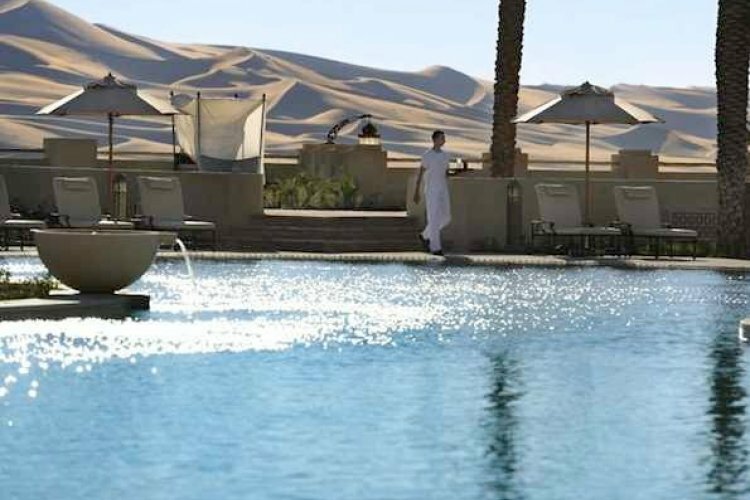 Qasr al Sarab Desert Resort is located in the Liwa Desert, which is one of the largest sand deserts in the world, and this oasis in the desert lets you enjoy fantastic luxury whilst desert wildlife grazes nearby. 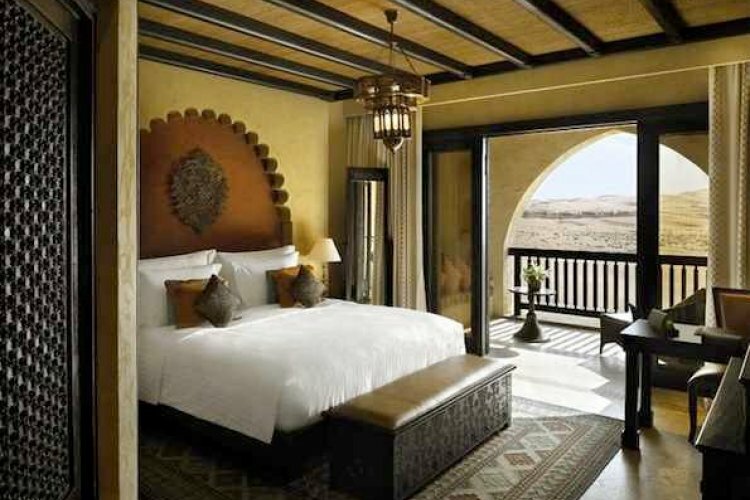 Each of the rooms, suites and villas at the Qasr al Sarab Desert Resort is amongst the most luxurious in Abu Dhabi and is decorated with Arabian flair. With stunning views of the desert and all modern amenities the rooms at the resort provide a wonderful place to relax and take in this amazing setting. The Deluxe Garden rooms include beautiful Arabic decor and give access to the beautiful gardens as they are located on the ground floor facing the desert. The bathroom includes an oversized bath or rain shower and each room includes a flat screen TV, air conditioning and free Wi-Fi. The Deluxe Terrace rooms at the Qasr al Sarab Desert Resort feature a large rustic terrace with uninterrupted desert views and an outdoor dining area. Day beds are included so you can relax in sun or shade and the rooms have 50 square metres of space all furnished to a very high standard. The villas are available with one; two or three bedrooms so if you are travelling with a group or as a family these are the ideal choice. The 3 bedroom Anantara Family Pool Villa includes three separate bedrooms that link to the large spacious living area and are set apart from the main resort so you have plenty of outdoor space. Sun loungers, a plunge pool and shaded area are included in the villa and there is an outdoor shower for cooling off. 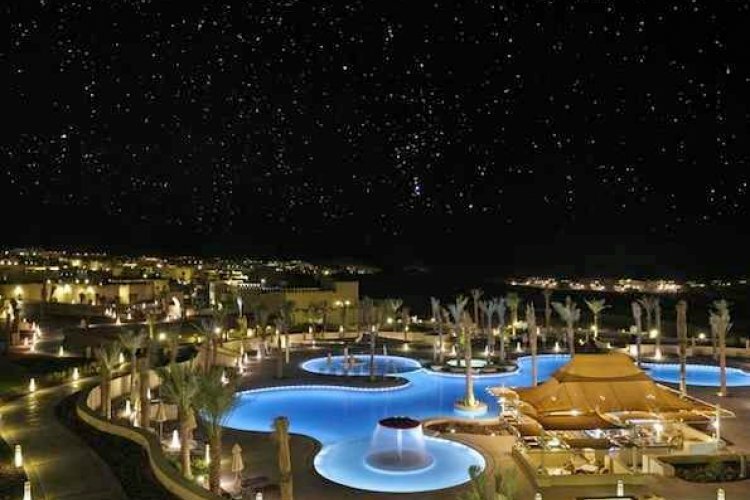 There is plenty to do at the Qasr al Sarab Desert Resort with a range of resort activities available and these include tennis courts which are floodlit so you can get a game in at night to avoid the desert heat. Take your stress away with a unique desert yoga session at sunrise or learn traditional Emirati cuisine with a cooking class. There is an extensive library and a freeform infinity edge swimming pool which is perfect for enjoying a refreshing swim. There is a state of the art fitness centre as well as a business centre and for the younger members of your travel party there is a kids club that caters for both young children and teens. 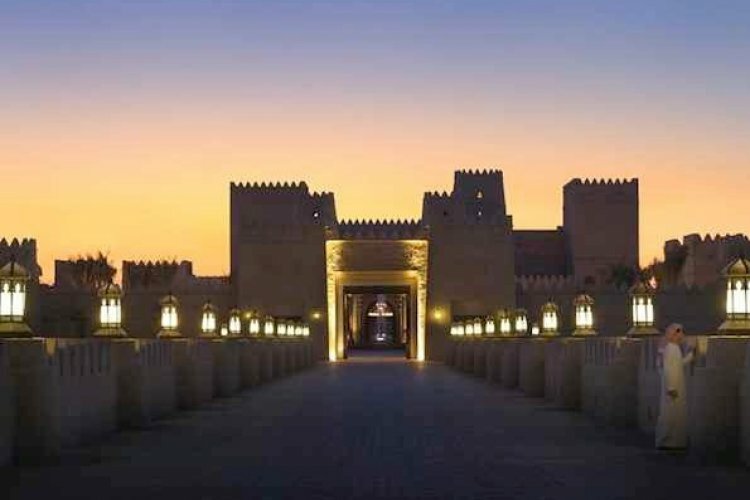 Qasr al Sarab Desert Resort has a large choice of restaurants so there is something for every taste and appetite. Al Waha (The Oasis) is an all-day dining restaurant where you can sample international food with a Middle Eastern flair. Suhail Steakhouse is an up-scale grill restaurant where you can enjoy fabulous cuts of beef from around the world and team them with one of the wines from the award winning wine list. The Qasr al Sarab Desert Resort boasts a wonderful spa that includes a number of signature treatments that can be enjoyed in spectacular surroundings. One of a kind hotel. A perfect, relaxing oasis in the desert.